You might be aware that Chris Davis of the Baltimore Orioles is closing in on the record for most consecutive hitless at-bats in the majors. 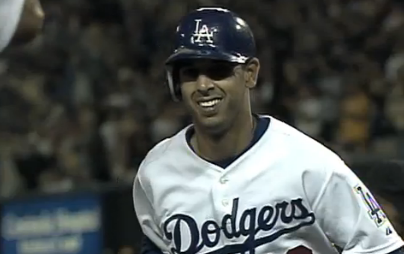 If you’re a Dodger fan, you might be even more aware of who holds that record: Eugenio Vélez, whose 0-for-37 2011 season with Los Angeles enabled him to set an MLB record with 46 straight hitless at-bats. But what you might not realize is that Vélez’s streak never ended. It is still active. In fact, so is Vélez. This past winter, he came to the plate 19 times for Aguilas de Mexicali, capping his seventh straight year in professional baseball since he last took a major-league at-bat. On top of everything else, Vélez is still only 36 years old, turning 37 on May 16. He is a mere three years older than Davis. There’s still life in him yet. So Davis may break this record. But as far as I’m concerned, this duel ain’t over. 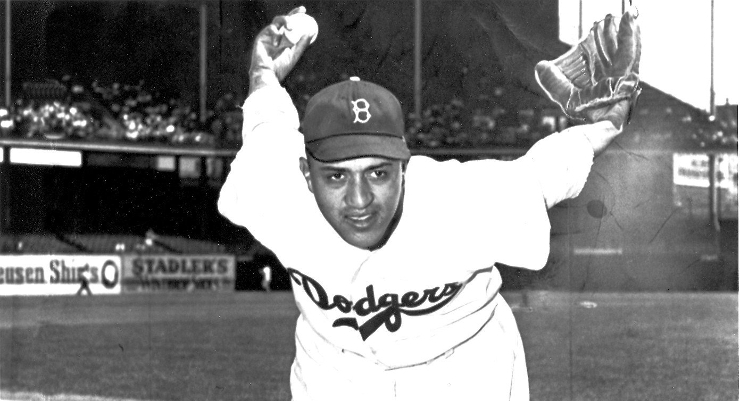 Don Newcombe has passed away today at the age of 92. 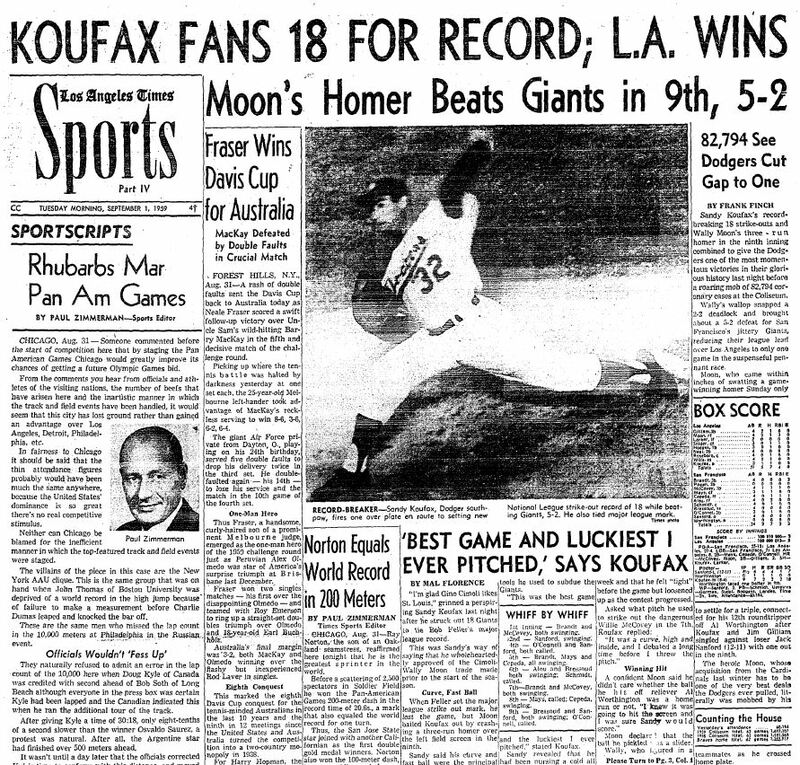 In honor of the inspiration for my book, Brothers in Arms: Koufax, Kershaw and the Dodgers’ Extraordinary Pitching Tradition, here is the entire chapter devoted to Newcombe. The agony. The terror. The hopelessness. The tears. The pain. At the climax of his incredible career, these were the feelings that consumed Don Newcombe. It’s all hard to imagine, hard to reconcile with the image that remains of the burly 6-foot-4 right-hander pitching like the side of a mountain coming at you from 60 feet, 6 inches away, or with his regal presence at Dodger Stadium in the 21st century, floating into the stands during batting practice in a suit and hat past his 90th birthday, with present-day members of the team lining up to spend time. But Newcombe’s sublime legacy has masked the heartache that came along the way. Surely it should have been enough, more than enough, just to endure, just to survive, as an African-American pitcher in the opening decade of Major League Baseball’s integration. The attacks and the indignities, big and small, on and off the field, could have broken Newcombe, who wasn’t the first player to sever the color line like Jackie Robinson, nor the first pitcher like Don Bankhead, but who was years younger than either — a mere 23 — when he took the stage for Brooklyn in 1949. 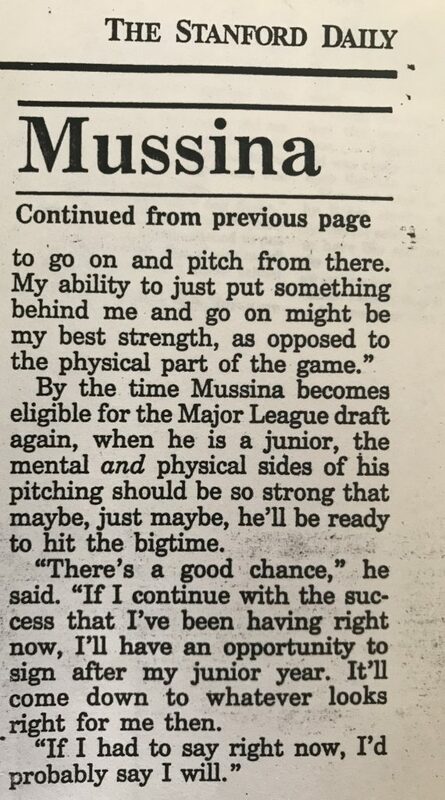 But on top of it all, like a fusillade of fastballs to the gut, Newcombe was repeatedly drilled during his big-league career, by fans, by the media, even by managers and teammates. Some of the damage was self-inflicted, brought on by his own behavior. Much, however, was superfluous, misguided and even cruel, judging Newcombe by his shortcomings – real or imagined – no matter how numerous his successes. The pressure and expectations crescendoed into a collapse, a breakdown of a vulnerable soul that few understood. That he eventually recovered to give the rest of his life back to the game and its players is as important as the story that preceded. 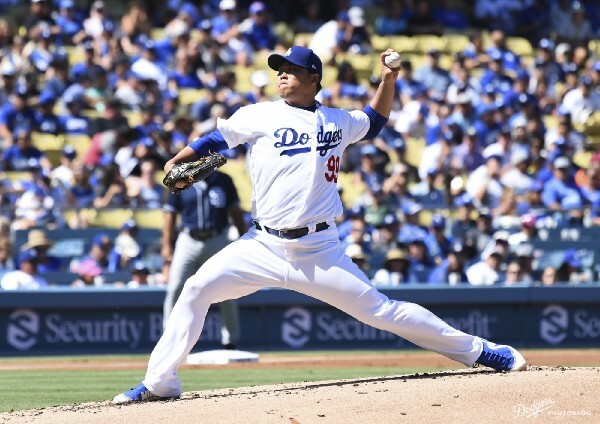 His journey, as much as that of any pitcher in Dodger history, is profound. From beginning to end, we root for greatness. 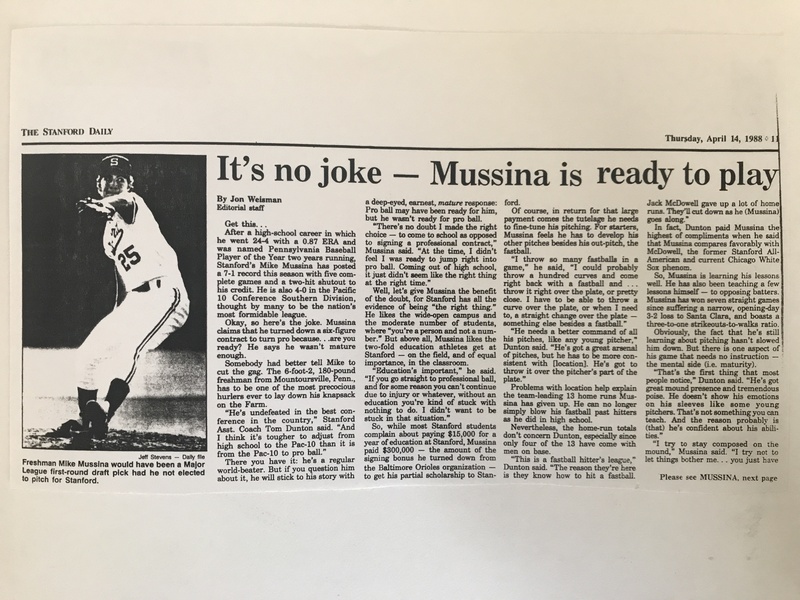 As I heard reports that the career of New York Yankee pitcher Mike Mussina, who has 215 victories and a 3.59 ERA, might be fast approaching the end — though things have been looking better lately — I went looking for a feature I wrote about the righthander in 1988, while he was a freshman at Stanford and I was a junior. I was fortunate enough to cover the Cardinal’s College World Series championship in Omaha, Nebraska for The Stanford Daily that June — during a week which found Mussina and I both taking final exams (same time, different tests) in a small Holiday Inn or Marriott conference room. But the first time I sat down with the future Oriole and Yankee was in his dorm room two months earlier. So, maybe Episode 4 is a little early for a very special episode of the Word to the Weisman podcast, but we’ve got one. For the newest installment, I interviewed my father, Wally Weisman, specifically about his experiences growing up as a sports fan in the 1940s, ’50s and ’60s. 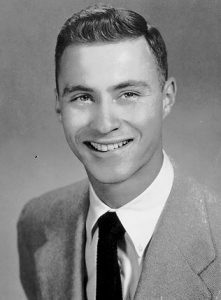 My dad was born in Chicago in 1935 and became a huge sports fan almost immediately — then moved to Los Angeles in 1951 and had to adapt to a West Coast sports scene that was still in the early stages of development — no Dodgers, no Lakers, and a Rams team that itself was relatively new. He shared some great stories from as early as 1940 all the way to when I was born in 1967, including a couple of interesting ones outside the world of sports. It’s obviously personal, but I think many of you will find it interesting. It’s not every day that you hear someone talk first-hand about Sid Luckman and Bronko Nagurski, or seeing the Bears play at Wrigley Field, or seeing the Globetrotters play the Minneapolis Lakers when the games really meant something. 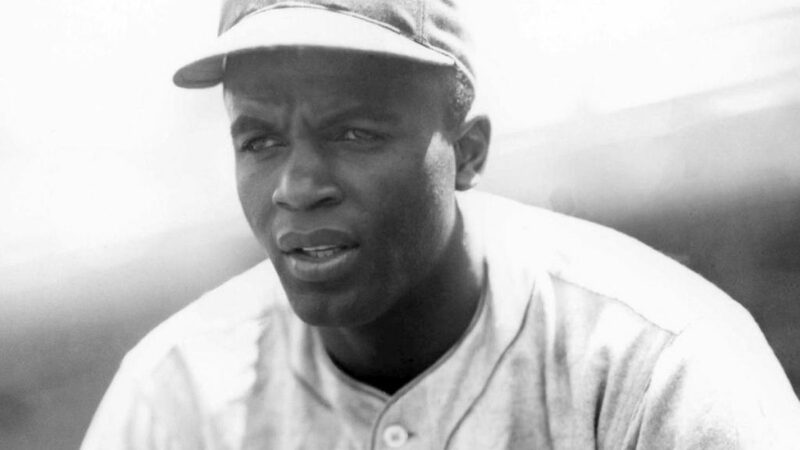 And a number of his recollections impressed me — for example, knowing that his hero, Stan Musial, absolutely destroyed Dodger pitching at Ebbets Field. As a bonus, and in keeping with the family theme, Episode 4 debuts the new Word to the Weisman podcast theme song, “Citrus Skies,” from lamekids, with the music composed and performed by my 14-year-old son — known in these parts as Young Master Weisman. You can find lamekids’ music at several spots including YouTube, Spotify and more. Listen below, or click here to listen on iTunes, Google Play or Spotify. I also recommend you subscribe to the podcast, so you know the moment a new episode is available — especially helpful now, since I don’t have a set schedule. The Hall of Nearly Great, a collection of essays about memorable major-league players who weren’t considered worth of the Hall of Fame, came out in 2012. I contributed the following chapter about Reggie Smith. As an adult, maybe even as a teenager, you see the complete arc of a major-leaguer’s career. You’re there for the beginning – or, depending on your level of dedication, the pre-beginning: the minors, the run-up to the draft, college or high-school ball. But when you’re a kid, you encounter ballplayers in media res. They arrive in your consciousness fully formed. Past is the opposite of prologue – past is epilogue. 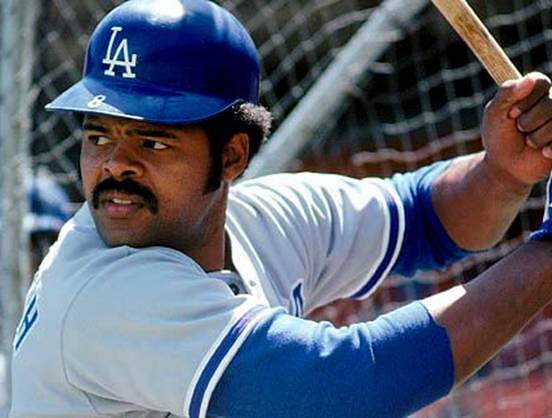 Reggie Smith landed in my world in the middle of the 1976 season, the first full season that, at age 8, I became invested in the Los Angeles Dodgers as a fan. Speaking of fully formed: He joined a team that had that infield: Steve Garvey at first base, Davey Lopes at second, Bill Russell at short, Ron Cey at third. These were the people in our neighborhood. Smith dropped in out of nowhere, by way of St. Louis. What was supposed to happen? It couldn’t have been that he would become the favorite player in the lineup for a kid fan birthed on Garvey, Lopes, Russell and Cey. That he would be the gateway to a life of challenging the conventional wisdom of who was most valuable. 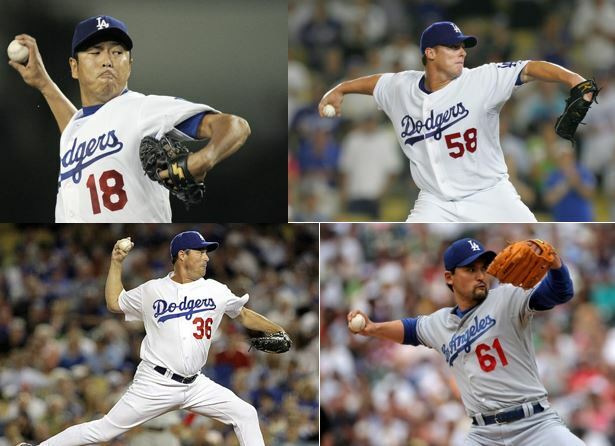 Below is a list of the pitchers who kicked off every postseason for the Dodgers since the start of the 20th century. If the Dodgers won the game, that’s in bold. Click on any name for the boxscore. 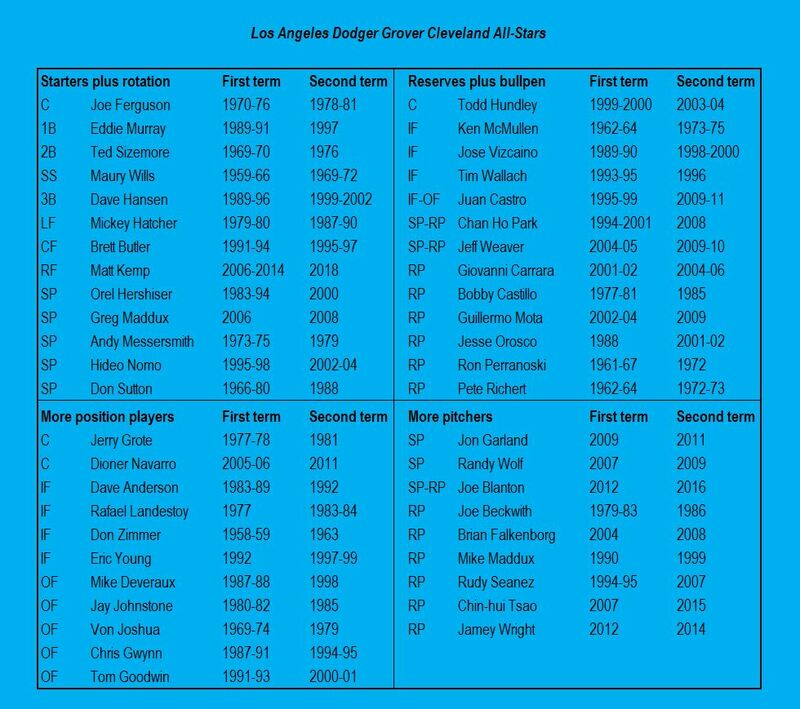 I’ve asterisked the Dodgers’ six World Series title years. Note that in five of those years, they lost their first playoff game. 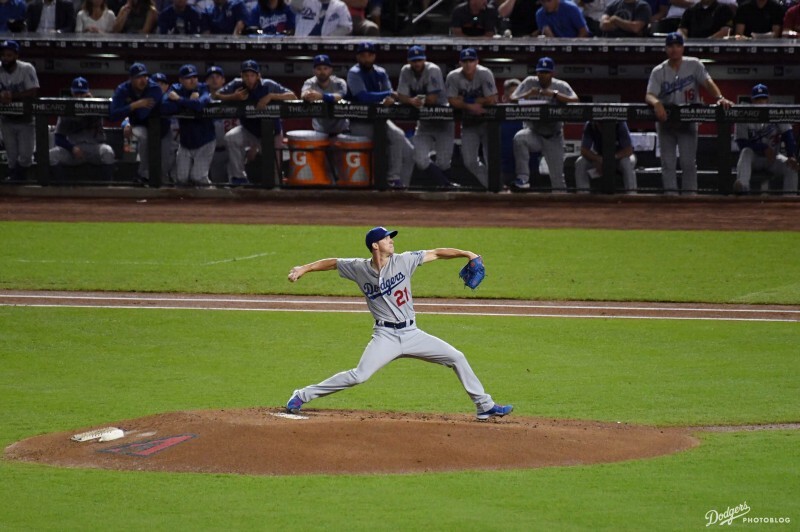 Overall, the Dodgers are 11-20 in their 31 playoff openers heading into tonight: 9-13 since the franchise moved to Los Angeles, 2-7 when the team was in Brooklyn. Clayton Kershaw has the most postseason Opening Day starts with five, followed by Derek Lowe, Ramón Martínez, Fernando Valenzuela, Don Drysdale, Don Newcombe and Rube Marquard with two each. 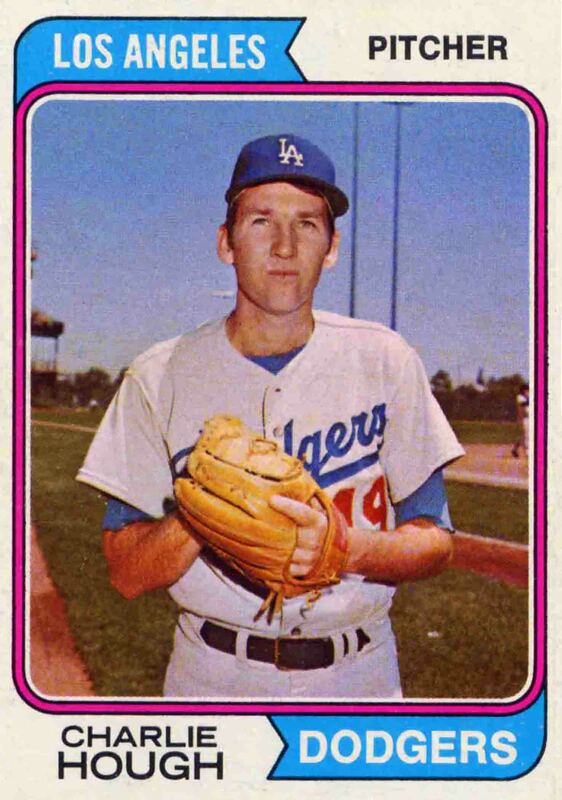 Hall of Famer pitchers Don Sutton and Sandy Koufax each had only one. 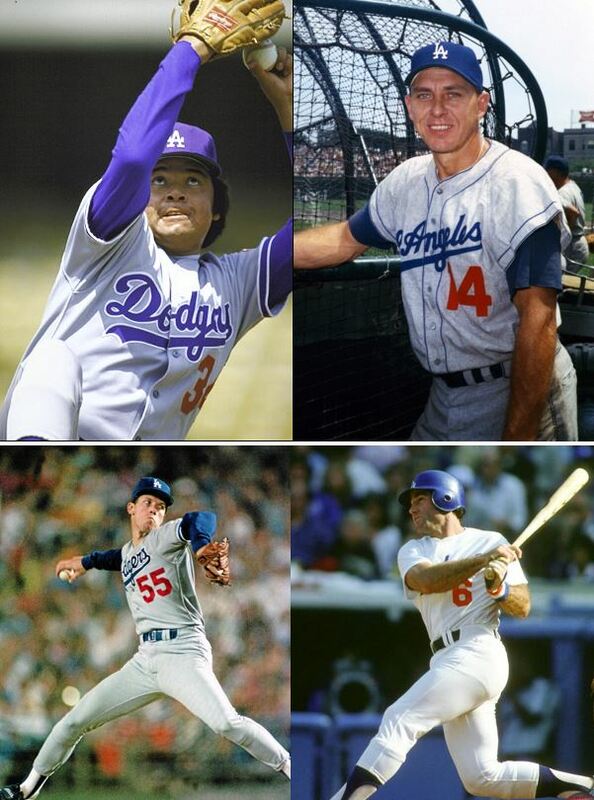 In the 1980 season, from April 26 on, the Dodgers never lagged nor led by more than three games in a taut NL West. Tied for first place with Houston on September 24 with 10 games remaining, they suffered back-to-back 3–2 defeats to San Francisco and San Diego to fall two back. 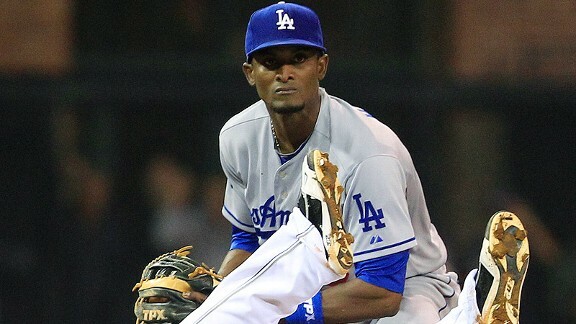 A week later, yet another 3–2 loss to the Giants put the Dodgers three back with three to play. The saving grace was that the Dodgers would be hosting Houston for the final three games of the regular season. But facing starting pitchers Ken Forsch (3.20 ERA), Nolan Ryan (3.35), and Vern Ruhle (2.37), the Dodgers faced a tall task. What followed was one of the most memorable series in franchise history.